The patented combs control shedding without scratching or harming a pet’s skin by gripping and removing loose, dead and tangled hair from thin to thick under- coats. Loose hair is stored in a color sleeve and removed either by brushing the hair off the tines and sleeve in place or removing the sleeve to rinse. It is easy to use and is a special shedding control grooming tool. Over 35,000 have been sold to dogs, cats and rabbit’s owner through our website, stores and the sale is still going. 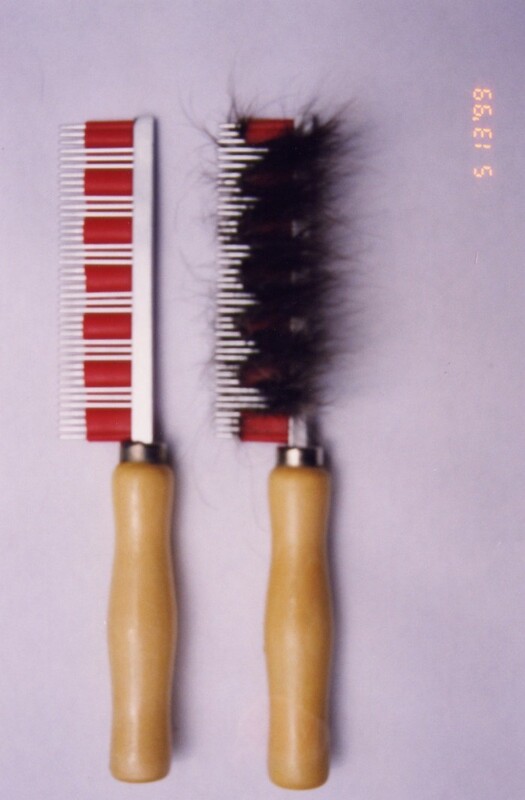 The HairBuster has become the most favorable grooming tool to prevent shedding within the rabbit society, which can be further searched through Google. 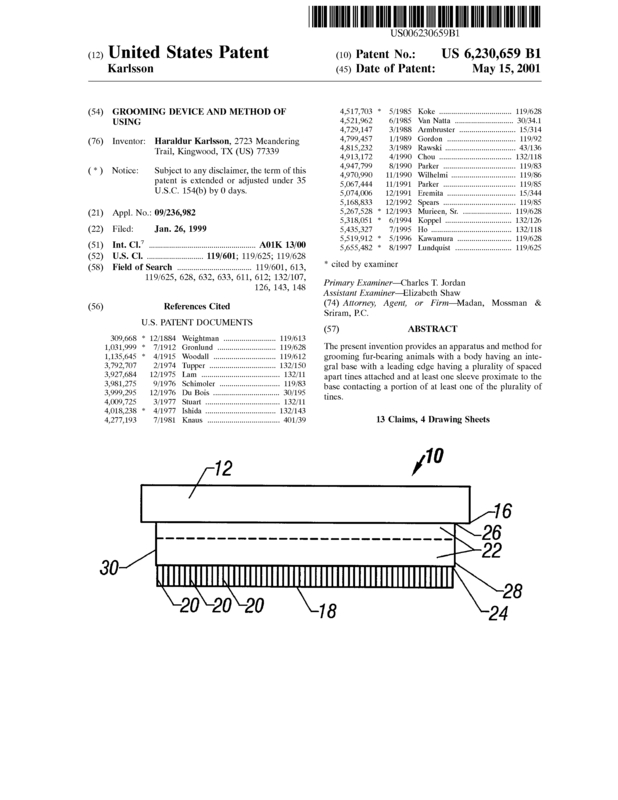 Page created at 2019-04-24 23:59:33, Patent Auction Time.